Letter of Notification from the Prime Minister to the President of the European Council setting out the United Kingdom's intention to withdraw from the European Union. Signed by the Prime Minister in the Cabinet Office. “Not another one!” exclaimed Brenda from Bristol. Captured in a viral video, this reaction was in response to the snap election that Prime Minister Theresa May has recently called, just two years after the last general election in 2015. Given the aftermath of the previous election and a chaotic Brexit referendum last year, the popularity of the video perhaps indicates that many people agree with this sentiment of being politically exhausted. Some progressives saw the election announcement as sinister. After months of her swearing that she would not call an election until 2020, the announcement seemed “cynical and dishonest” at best, and an authoritarian ploy to quash opposition voices in Parliament at worst. 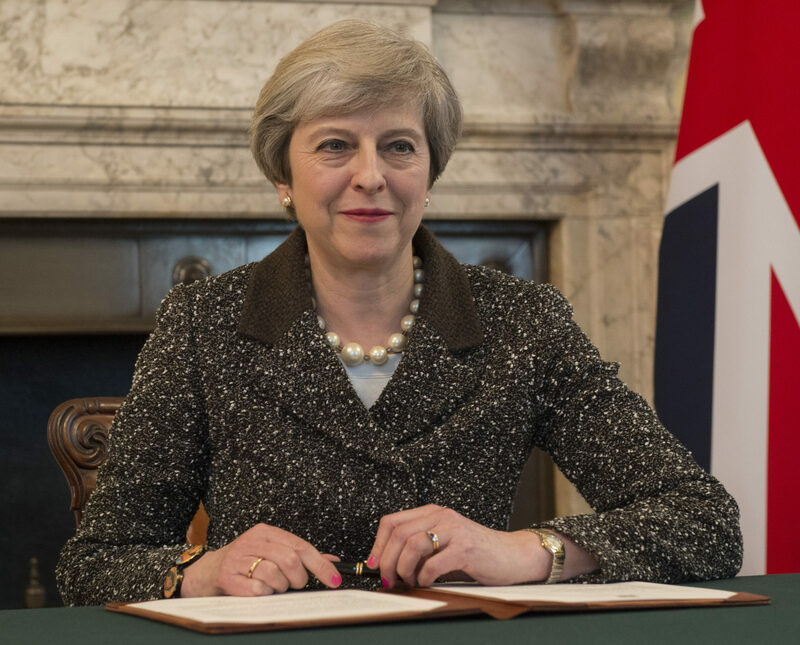 This impression was only bolstered when May decried “division in Westminster” over Brexit in her announcement as a rationale for the snap election. It is as if the very presence of an opposition is problematic. Others believed the election was necessary – the previous one, though recent, had been fought under PM David Cameron, and on a different set of policies that quickly became irrelevant once Brexit took place. Timing is also key. Several polls showed May’s double-digit lead over all of her opponents. Therefore, the timing of the election seems strategic, so as to gain a Conservative majority within government. Additionally, the UK only formally began the separation process with the EU in March, a process set to result in a deal in 2019. The fear is that the Conservative majority might balk at an unfavourable Brexit deal if a 2020 election were around the corner. By conducting a general election now, the 2020 election would be delayed to 2022, giving the Conservatives time to manage a Brexit deal and its consequences. It also allows May to put forth her vision of Brexit and give her the authority to push it through Parliament. In any case, calling a free and fair election, lasting the full seven weeks, in one of the most well-established democracies in the world, seems contrary to authoritarianism. So people unhappy with the current government could use their voting rights to replace the Conservatives. The usual alternative is the Labour Party. But recent polls show only about one in four voters see Labour leader Jeremy Corbyn as a better potential prime minister than May (and this represents some of his best polling yet). Under his leadership, the party has never consistently led the Conservatives. 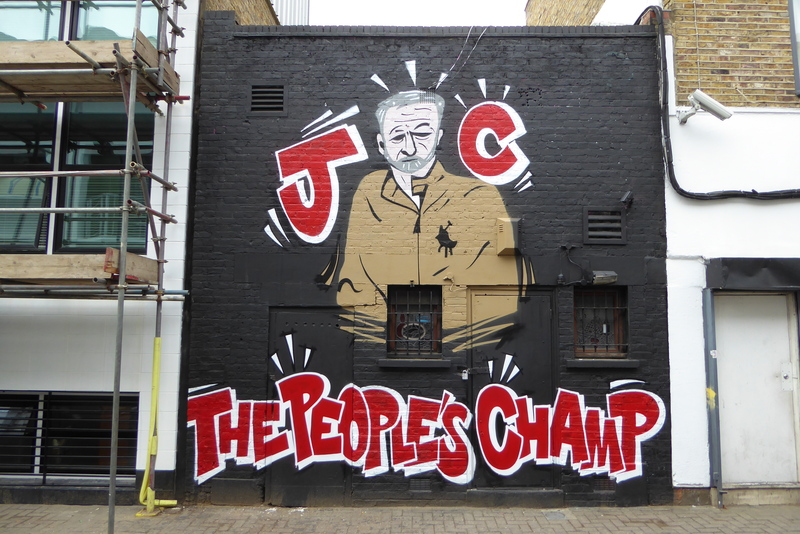 Corbyn’s many fervent supporters would say that this is the result of the unceasing hostility Corbyn faces from the country’s seemingly right-wing media–an absolutely valid point. However, Corbyn has not given supporters much to defend considering he has often tripped over himself and alienated his own shadow cabinet. During the Brexit referendum, he was found to have sabotaged the Remain campaign, at which point his MPs overwhelmingly voted no-confidence and his front bench resigned en masse. And despite the radicalism of his leadership run and of the grassroots movement that backs him, he has hardly overseen a broad shift in Labour’s outlook or constituency. He has also avoided rocking the boat by refusing to put the brakes on Brexit. The analysis that he is too far left for the public is then rendered simplistic, especially since his policies are quite popular across ideological lines. Apart from a hostile media he seems to be the man that people have reacted poorly to. The electoral response has been unequivocal. In 2016, Labour became the first opposition party in a generation to lose seats in midterm local elections, a feat to be repeated in 2017. Last December, also for the first time in a generation, an opposition party lost a parliamentary by-election to a governing party. Allies are scrambling to lower expectations ahead of this election, while young talent is deserting Parliament. Demoralized by the lack of a road to government, MPs in their forties have left to run for mayor of Manchester, to curate a museum, or work in the nuclear power industry. In 1983, the Labour Party was also saddled with an unpopular leader, which proved beneficial to the more moderate Liberal Democrats (Lib Dems). Now, they are languishing at 10% in polls, a near-historic low. This antipathy is largely an outcome of their participation in a governing coalition with the Conservatives between 2010 and 2015. This period saw the left-leaning party abandoning many of their spending pledges, most notoriously a pledge to abolish tuition fees for public universities, and instead standing by as the Tories implemented austerity. Exasperated Lib Dem partisans have spent seven years explaining how the Tories would have been so much worse without their party’s moderating influence, but to no avail. In 2015 the party collapsed from 57 seats to 8. A revival seemed distinctly possible in the aftermath of the Brexit vote when the party made a point of being pro-Europe in an attempt to capture the 48% of the population who had voted to Remain. Their victory last December over a Conservative incumbent in a by-election seemed to vindicate this strategy, as well as numerous local government gains. Yet, their new leader Tim Farron remains unknown to most of the public, and the party. Although Farron seems to promise to put the results of the Brexit negotiation to a referendum, he has been falling in polls. Earlier talk of swiping dozens of more affluent seats in the south from the Tories has given way to anxiety as the party scrambles to defend its own seats. To some extent, obscurity and unpopularity are self-fulfilling; promises to fundamentally alter the course of Brexit are less credible coming from a party with just nine MPs. 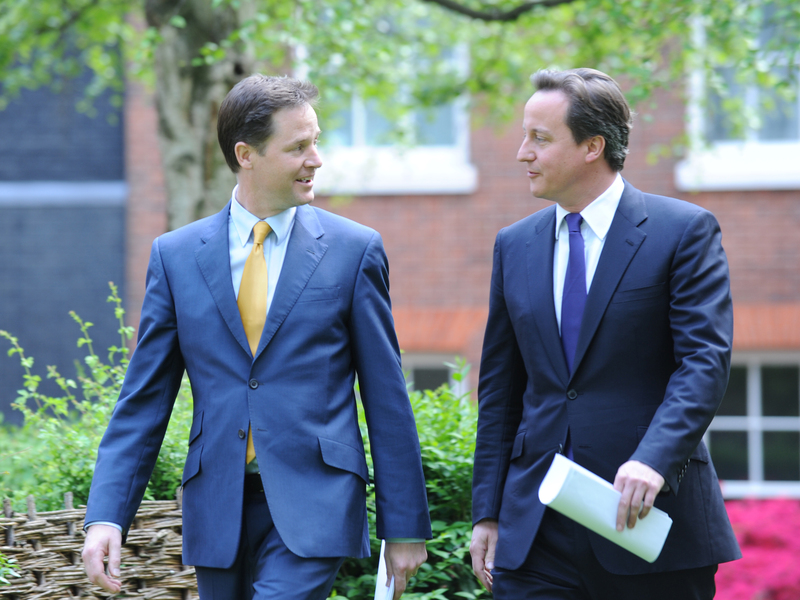 A strategy of realigning British politics by creating a “party of the 48%” had promise. After all, a solid proportion of Conservatives voted to Remain, and recent headlines about May’s Brexit strategy have given cause for concern. Therefore, Conservative seats could theoretically be swiped (as in the by-election), but instead, the main opposition party has clearly hit a ceiling in support, whilst having no discernible interest in re-litigating Brexit. Furthermore, the Liberal Democrats languish in obscurity and bitter memories. One progressive leader who has been widely hailed throughout the political rollercoaster of the past two years for being articulate, competent, and effective in opposing the Conservative government has been Nicola Sturgeon of the Scottish National Party. The Scottish Independence Movement also hangs heavy on the party’s Brexit cause. Indeed, it is in Scotland where electors have the most bitter of choices – either they vote for the Conservatives, a toxic brand in Scotland post-Thatcher, and legitimize their Brexit strategy, or they vote for the SNP and legitimize their independence strategy. Scottish Labour has been the dominant political force for decades, but their support collapsed after an indifferent response to the 2014 independence referendum. The results quickly became the principal dividing line of Scottish politics. Unsurprisingly, every news and projection site is calling a massive Conservative majority. Labour is set to win fewer than 200 seats for the first time since World War II. If May keeps her lead above 14.8 points, the margin would be the most lopsided since 1931. Some conclude that in choosing this moment to call an election, Theresa May was patently self-interested and unfair. However, she has followed all the rules and norms. Gordon Brown found himself in a similar position after taking office. His decision to not call an early poll has become synonymous with “political mistake.” In any case, Labour and the Liberal Democrats have had an entire year since the EU referendum to prepare; in fact, the most prominent voices calling for such a snap election in the referendum’s aftermath were from the opposition benches. This may be one of the most consequential elections since the war. Before the next election in 2022, Scotland will very likely have voted on independence once more, whose result may very well hinge on the contents of the Brexit deal. 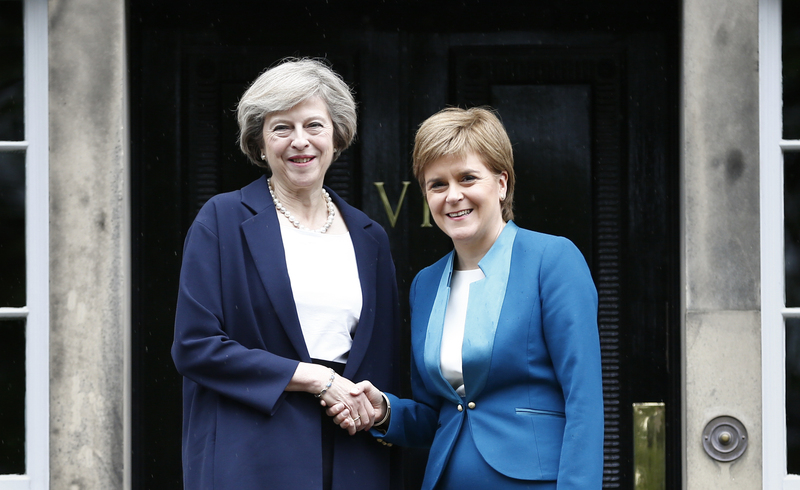 Having voted largely to Remain, Scotland may vote to leave the UK and pursue EU membership on its own in the event of a harsh Brexit deal. Northern Ireland is already facing political turmoil and uncertainty also shrouds their post-Brexit future. Still, if the opposition is in utter disarray and incapable of preventing utter Conservative hegemony for the foreseeable future, one could hardly fault May for that. Koji is a U4 student pursuing a Joint Honours degree in Economics and Political Science with a minor in German Language. He specializes in the politics of Japan and the European Union, and is close to having visited every metro station in Montreal.